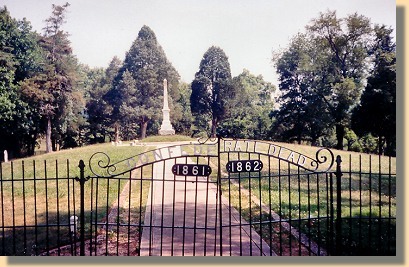 The Sign on the gate reads: Confederate Dead 1861 1862. WE CARE NOT WHENCE THEY CAME DEAR IN THEIR LIFELESS CLAY; WHETHER UNKNOWN OR KNOWN TO FAME. THEIR CAUSE AND COUNTRY STILL THE SAME. 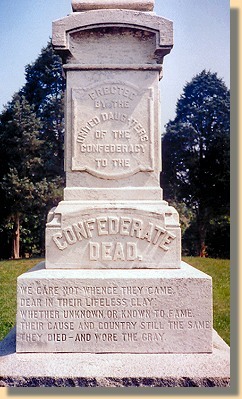 THEY DIED --- AND WORE THE GRAY. 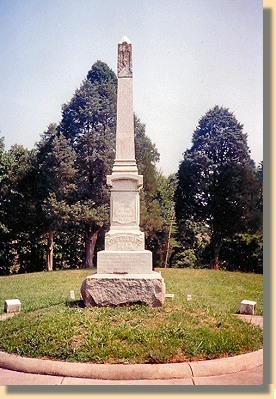 THEY GAVE THEIR LIVES IN DEFENCE OF THEIR COUNTRY ON THE FIELDS OF THE FIRST AND SECOND BATTLES OF MANASSAS. BUT FOR THEY THE COUNTING OF TIME IS NOT FOR THEY DWELL IN THE CITY OF GOD. 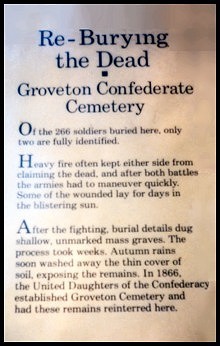 THEY SLEEP WELL IN THEIR UNKNOWN GRAVES ON THE FAR AWAY BATTLEFIELD.